Hot Eats and Cool Reads: Beefy Tomato Macaroni Soup Recipe with a Review for Pomi Tomatoes! Beefy Tomato Macaroni Soup Recipe with a Review for Pomi Tomatoes! 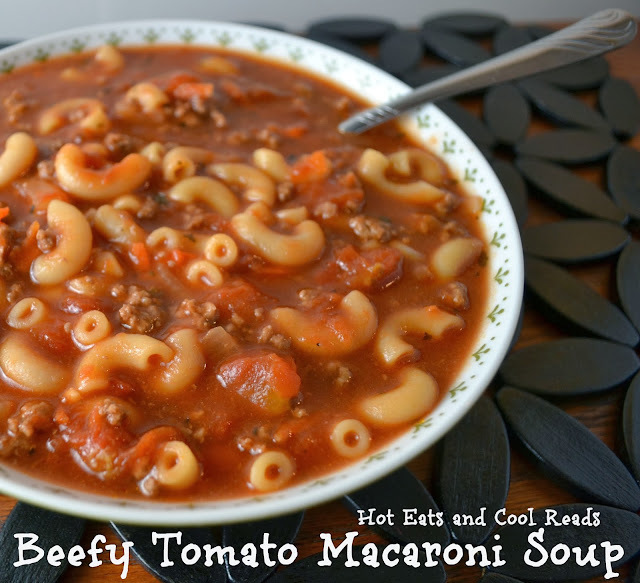 Beefy Tomato Macaroni Soup Recipe from Hot Eats and Cool Reads! This beefy comfort food soup is just like your Grandma made! Both my daughter and I are huge fans of tomatoes! We love them fresh and canned, basically any way we can eat them. I was recently contacted by Pomi Tomatoes and was offered some samples of their products to try. Their tomatoes are packaged in stay fresh, BPA free cartons and are 100% natural! No additives or preservatives... just straight up tomatoes! I couldn't wait to try them and knew they would be a great product for our family. The Pomi Chopped Tomatoes are like diced tomatoes in other brands and the Strained Tomatoes were more like a thick tomato sauce! I always love tomatoes and soup, so I decided to throw together some of this Beefy Tomato Macaroni Soup! This soup has a unique flavor and tastes so fresh from using the Pomi tomatoes! It is a thicker soup... almost a "stoup" as Rachael Ray always said on 30 minute meals. My daughter and I loved it. It is just so hearty and filling. Perfect for warming you up on a cold winter day. Pomi Tomatoes are definitely a product we will be using again. You can tell there is a huge difference in flavor compared to canned tomatoes and I just love the great benefits that they offer! They are a perfect addition to a clean eating diet if you're not able to use fresh tomatoes. You can see all of the Pomi Tomato benefits here! Looking for more ground beef recipes? In a large sauce pan or soup pot, brown ground beef, onion and garlic until ground beef is no longer pink. Season with salt and pepper while browning. Add broth, chopped and strained tomatoes, Worcestershire, brown sugar, basil and steak seasoning. Bring to slight boil over medium high heat, stirring occasionally. Reduce heat and simmer for 10 minutes. Add cooked macaroni and heat through and serve! This looks very good! Can you tell me is the measurement for the pasta at three cups dry or three cups once cooked? Thanks! My kids are gonna love this soup. Thank you for sharing. You're welcome!! So glad you stopped by and enjoy! I just made this soup. MMMMMMMMMMMMMMMMMMMMMMMMMMMMM!!!!!!!!! I did make one change. I cooked the noodles in the soup which made it more of a stew. Yummy!!! Oh yes- this would definitely be a hit! Thanks so much for stopping by and for the invite, Lori! You're so welcome, Marsha! This is such a great comfort food! what kind of steak seasoning is used? I purchased the steak seasoning I used from Aldi, but any brand would work! Thanks for stopping by! I made this the other day. It was super easy and very yummy!! Thanks for sharing. I have made this soup several times for my family and guests also. Everyone just raves about it. It's the best for a snowy windy day. Easy to make too. This recipe really sounds delicious! It reminds me of a recipe that my Mom used to make. I literally just put all ingredients (browned the meat first) into my crock pot for tonight's dinner...Can't wait to try it..
Made this last night for dinner, but added some mixed veggies. It was so, so tasty, even better leftover tonight. Those Pomi tomatoes are delicious and I will definitely use those in things from now on. Was very glad to find them at a local store. This looks very much like something my mother used to make. I instantly felt the cozy comfort of home when I looked at the photos. What seasoning could I use to replace the steak seasonings. I have a large collection of herbs and spices, so I never really but pre-mixed seasonings. 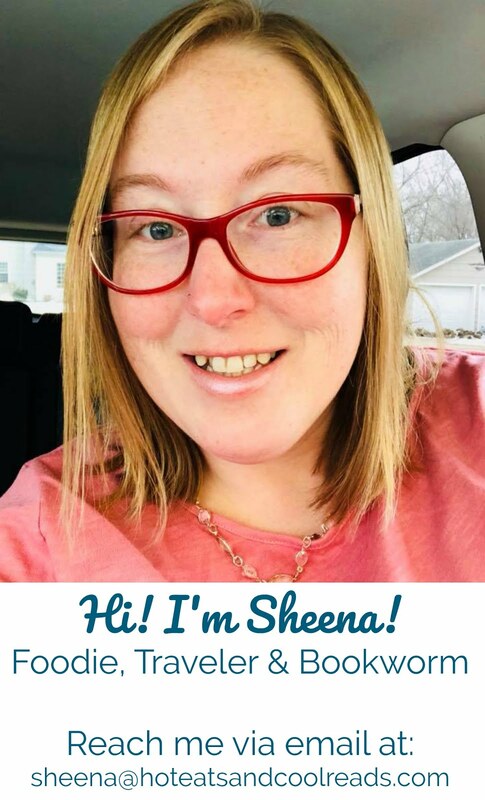 Sheena......Looks yummy! Can you tell me how many servings this makes? I'm bringing it for a "soup potluck" and need to serve a certain number of people. Thanks! I would estimate about 6 servings! Sounds so good. Pinned, shared & can't wait to try. I have not tried freezing it, but it's definitely worth a try! My only concern is that the pasta may be mushy when defrosting, but I can't say for sure. Thanks! They don't carry those types of tomatoes by me, can you provide substitutes? Hi! How many would you say this serves? I love stoups! This sounds delicious, thank you for sharing. Made this soup today. Added celery,green pepper & carrot. Simply delish. Ate two servings. I'm so glad you liked it! Thanks for letting me know! Can't wait to try this. Do I drain the fat from the ground beef and onion mixture before adding the rest of the ingredients? By the way, I found the Pomi tomatoes online at Walmart. Does it mean two containers of tomatoes or is that a typo? Canned sauce would work great too! we have been using this recipe for years now and it's the favorite soup in our house. Best of all it's better the next day.